Our Sales Office will shut for Christmas at 5pm at Friday, 23 December and reopen at 9am on Tuesday, 3 January 2017. No orders will be dispatched during this time period. Any orders placed after 1pm on Friday 23 December will be dispatched on Tues, 3 January 2017. 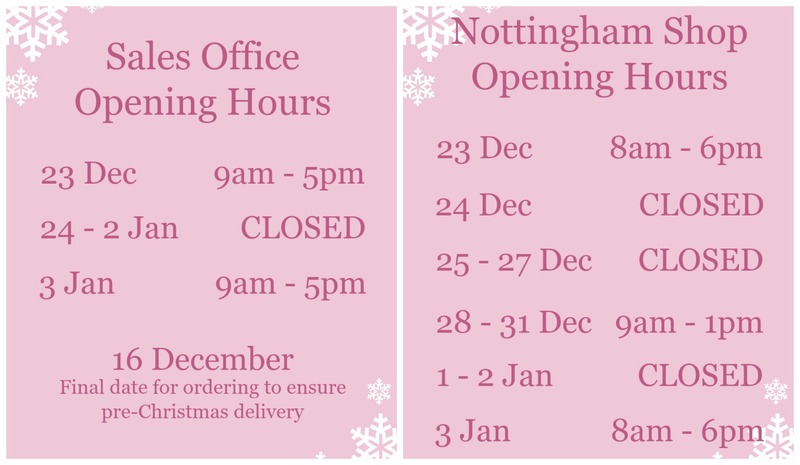 Our Nottingham shop will be open at various times throughout the holidays and you can find out more about the opening times below!